Preventing scratches occurring on our cars can be quite a difficult task. However, there are some practices we can inculcate to minimise them. It helps if, as a matter of habit, we do not drive too fast, thus avoiding flying stones or debris from scratching our cars. When parking, always allow sufficient space for motorcyclists or pedestrians to pass and for the next car owner to open their doors. When our cars do get scratched for whatever reasons, do not worry, most times they can be polished away. 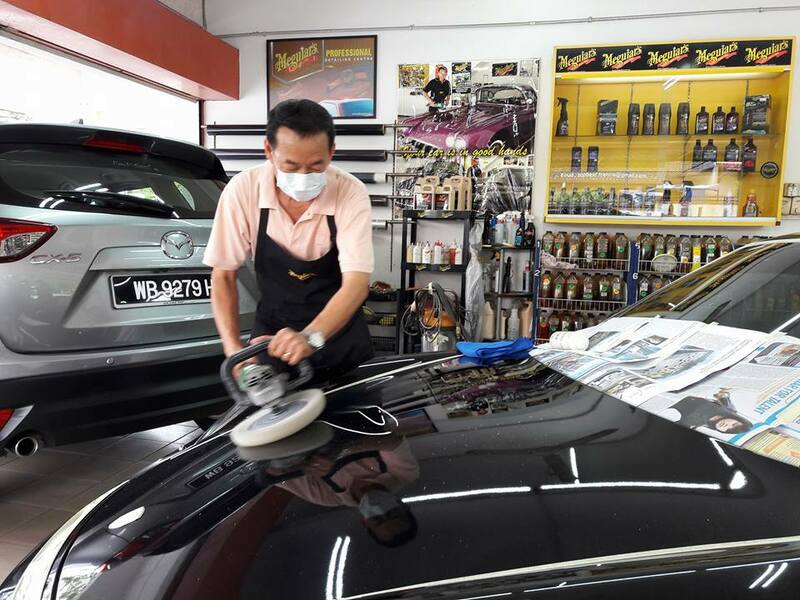 Correct polishing and cleansing can remove the debris and oxide layer attached to the car paint, making flattening the fine scratches, and enabling the polishing agent to penetrate into the interior of the paint. If the car body paint has disappeared, a touch pen can easily be used to touch it back to the original paint colour. Deep scratches will require a lot more work. It may sometimes be necessary to use a coloured putty. Sand down the scratches (in the direction of the scratches) with fine sandpaper to make it smooth before carefully applying the putty evenly over the scratches. Spray a sandable primer close to the colour of your car’s paint. Next, spray on the primer the same colour paint as the rest of your car. Apply a good quality carnauba wax on the affected area and buff with a buffer pad or microfibre cloth to seal the paint inside. If the scratches on the car are deep and the paint primer has already come off, then timely repair to the car is important to prevent rusting to occur on the exposed part of the primer. If it continues to be exposed to the air, further corrosion can spread to the surrounding paintwork. We at Topbest Car Grooming Centre understand the anxiety car owners experience when dealing with scratches on their precious cars. We are expert in car scratches removal and can help you in this area in the unlikely event you have to encounter this. We use specialised equipment and effective products and compounds to help restore your car’s surface to its original shine. Our service also includes protection and restoration over windshields, bumpers, and head lamps. Contact us for a no-obligation quote or simply just to get some advice on appropriate treatment for your car.